Welcome to Sis's specifically examines the impact that racially motivated barriers created by restrictive property deed covenants had on the communities of Brentwood and North Brentwood, Maryland. Ally Theatre Company, recently named the 2019 recipient of the John Aniello Outstanding Emerging Theatre Company Award, is committed to producing theatre designed to acknowledge and confront systemic oppression in America. Welcome to Sis’s marks the start of their third season and residency at Joe’s Movement Emporium. SYNOPSIS: It's Friday night in North Brentwood and anybody who's anybody knows the spot to be is Sis's Tavern. Sis, Margaret, Willie, and Sterling are all on hand to prep for a busy night, but when James doesn't show on time, tensions begin to rise. 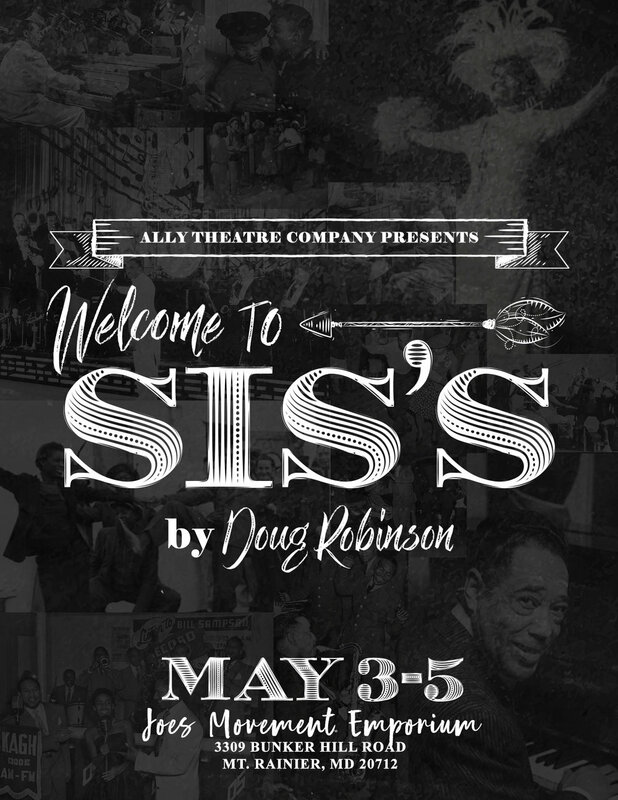 Set in the 1940s, Welcome to Sis's shines a light on one community's ability to survive and thrive amidst the turbulent backdrop of racist housing codes and local dividing lines which played out across the country's neighborhoods and still affects us today.